Allegro Targeted Genotyping kits provide a fast, scalable, cost-effective approach to perform targeted genotyping-by-sequencing on a wide variety of organisms using next generation sequencing. 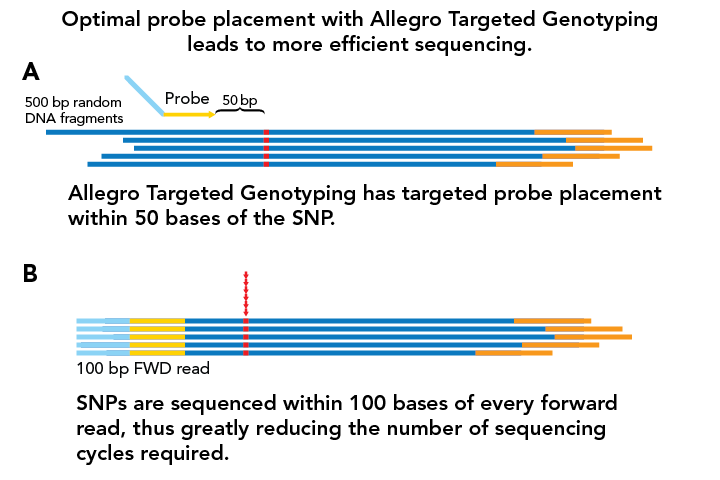 Using the Single Primer Enrichment Technology (SPET) for DNA approach to specifically target SNPs of interest, Allegro Targeted Genotyping provides information-rich sequencing data, by capturing a SNP-specific data point for every on-target sequencing read. The result is unparalleled sequencing efficiency, leading to rapid scalability and the lowest cost per data point available. Allegro Targeted Genotyping combines three core technologies to enable efficient SNP interrogation. 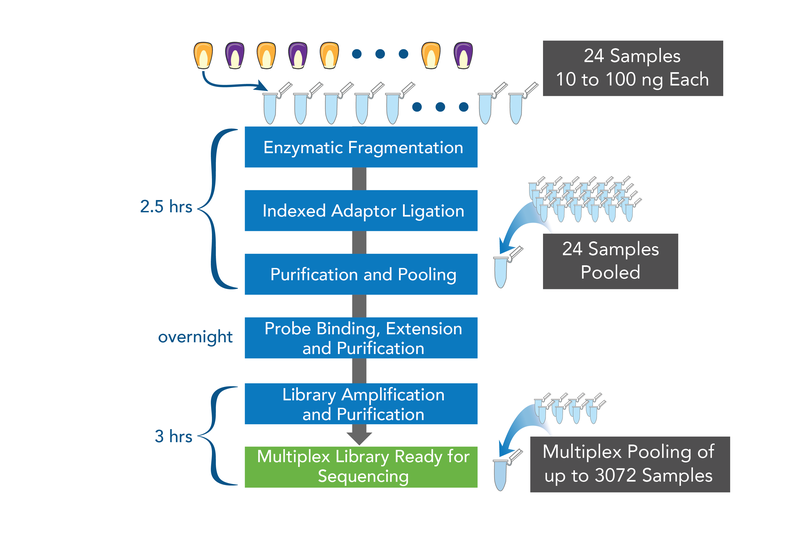 Allegro Targeted Genotyping offers high sample multiplexing capability, ability to interrogate over 100,000 SNPs in a single assay, and flexible design possibilities for targeting new markers. 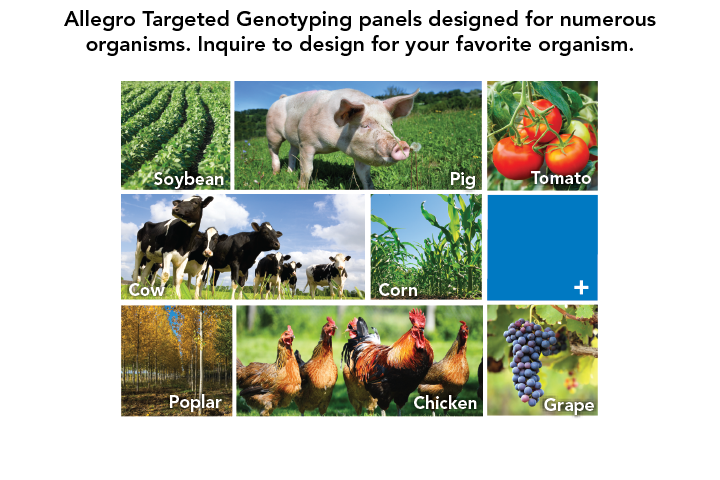 LGC's leading expertise in the plant, livestock and aquaculture industry ensures you get the Allegro Targeted Genotyping solution that meets your needs. LGC also offers SeqSNP - the targeted genotyping by sequencing service that accelerates plant and animal breeding programmes. Screen hundreds to 10,000+ markers while still being cost-effective on an industrial scale. We’ve worked together with partners in the plant, livestock and aquaculture industries to ensure SeqSNP meets cost, time, and flexibility requirements to work in real world breeding programmes.